Share this product and receive a $2.30 sharing discount. 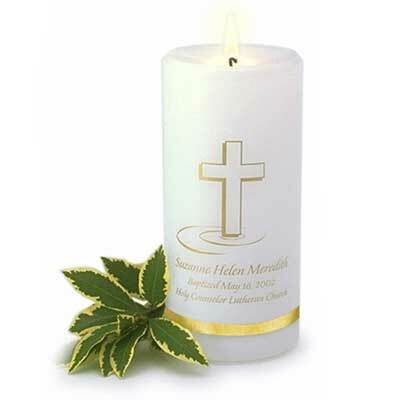 This simple religious remembrance commemorates holy baptism with its cross motif, date and location of the baptism, and child's name. 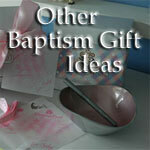 Includes one (1) 3" x 6" personalized candle. Please allow 10 business days for processing this order.